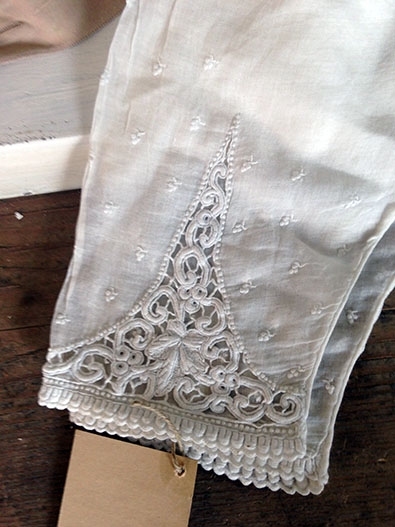 Gorgeous pair of antique mid-Victorian engegeantes or under sleeves made of very fine muslin with lovely embroidery, ca. 1860 - 1865. 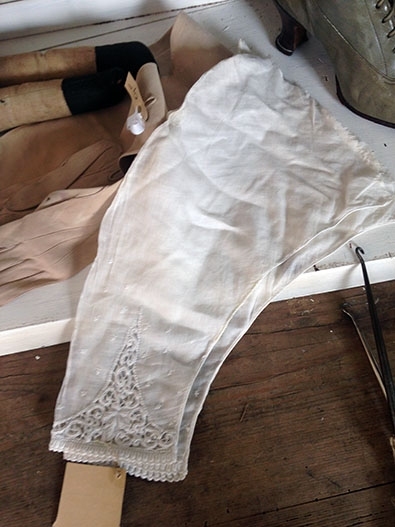 These under sleeves were worn under the normal sleeves of the mid-Victorian gowns and were removable, they were attached with either pins or a running stitch. This pair is in very good condition, especially considering the very delicate fabric. Stunning embroidery! They measures approx. 41 cms long.